An apple a day only goes so far. 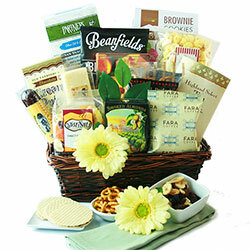 But a get well gift basket? Now, that’s the ticket! Far more than just a single piece of fruit, these gifts are full to the brim with heartiness and good cheer. 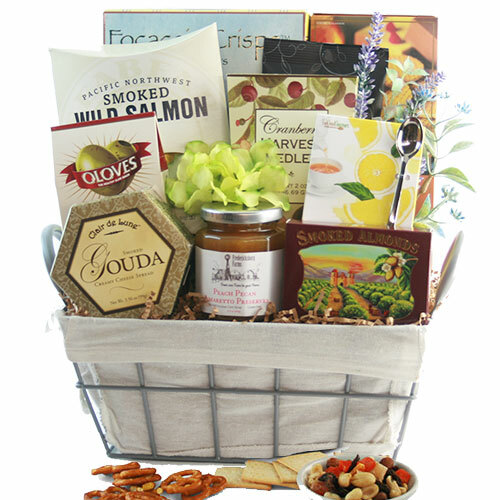 Lift someone’s spirits, save them from boredom, or simply send a nice surprise when a get well basket arrives on their doorstep. 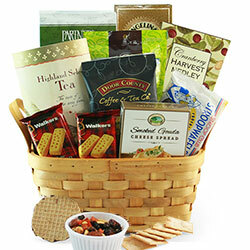 The baskets contain a variety of items that range from chicken soup (a must) and tea to puzzles and teddy bears. 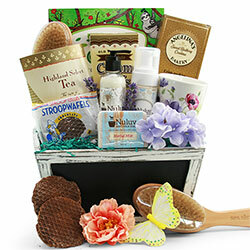 If you don’t think any of our standard designs will be enough to make them feel better, create your gift basket using our Design It Yourself System: Custom Get Well Gift Baskets. Someone you care about is feeling blue. Maybe they were injured, or ill, or even heartbroken. 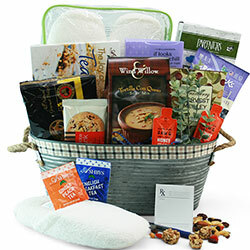 It can be difficult to offer comfort in a meaningful way, but a thoughtful gift basket will help them know you’re there for them. 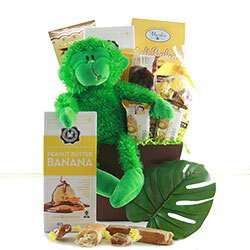 Our get well soon gifts are designed to bring a bright spot to someone’s day, and each one can include a personalized note from you to them. 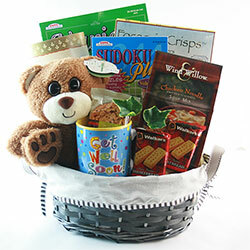 From gourmet foods and savory sweets to stuffed animals and creative projects, these get well baskets are for perfect for anyone, and packed with good cheer to lift anyone’s spirits. 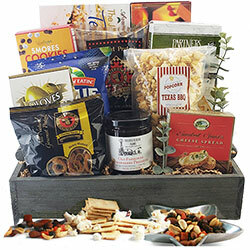 Now that you have your recipient’s mood and preferences at the forefront of your mind, you’re ready to browse through the get well soon gift baskets. The Speedy Recovery Get Well Gift is perfect for someone who’s been housebound with an injury or illness, and needs some brain games to keep them entertained. 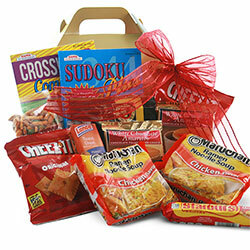 This basket includes crossword puzzle and electronic hand-held game, chicken noodle soup, and other feel good snacks. 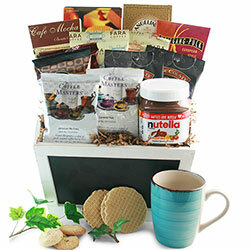 For someone who’s more of a foodie, send them the Doctor in the House Get Well Gift Basket. 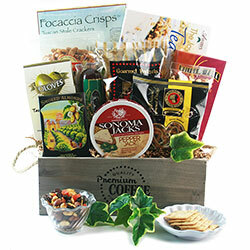 With tasty focaccia crisps, roasted almonds, cappuccino mix, and brownie brittle, your recipient’s palate will surely get a pick-me-up. 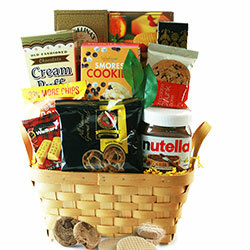 If you’re sending this gift to a person who has a sweet tooth, check out the Ice Cream Party Ice Cream Gift Basket. This over-the-top sugar rush will pick up anyone’s spirits. 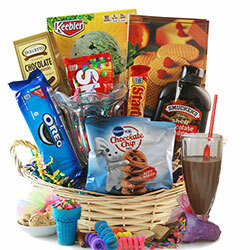 The basket includes ice cream cones, magic shell topping, cookies, Skittles, a fountain glass, and more. 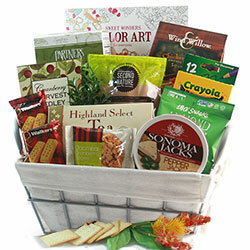 Lastly, a perennial favorite in this category is the Art Therapy Adult Coloring Book Gift Basket. 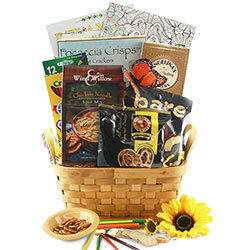 For the creative soul who would appreciation some things to help them with self-expression, this basket includes adult coloring books, colored pencils, and tasty snacks such as apple chips, focaccia crackers, and Belgian biscuits. 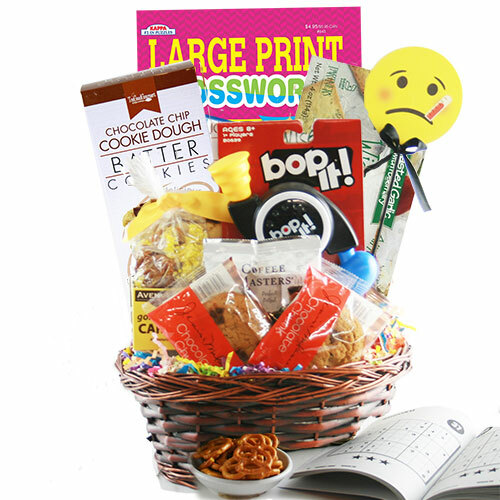 In just a few easy steps, you can create custom get well gifts for men, women, and kids. It’s quick, all done online, and can ship almost immediately. The Design It Yourself process starts with selecting your theme, budget, and container type. Then you can really begin customizing it by selecting products from several different categories to fill the container you’ve chosen. Our Design Team has gone to great lengths to ensure that only the finest quality selections go into our very exceptional gift baskets! You can also add additional, optional items like stuffed animals, balloons and coffee mugs if you’d like. 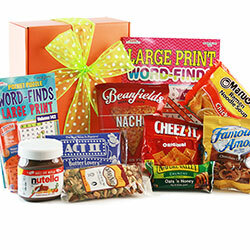 How you personalize your custom get well gift is completely up to you. 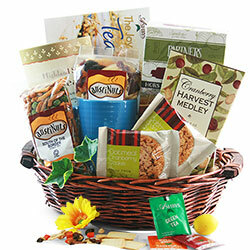 With so many get well soon baskets to choose from, it can be difficult to narrow down the options. 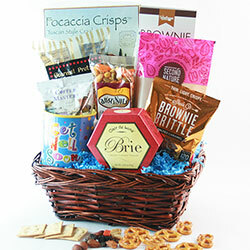 The good news is we’ve made it easy and each basket has items that complement each other and form a theme. 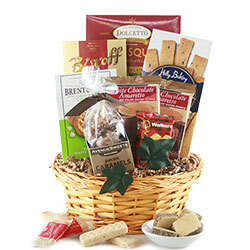 All you have to do is think about your gift recipient’s personal preferences or hobbies. Are they a foodie? A caffeine fiend? Or maybe they enjoy puzzles and candy. Whatever it is, keep these preferences in mind as you’re browsing. You should also think about whether your recipient needs their spirits to be lifted, or simply needs some relief from boredom. This will help you choose one of the get well soon gifts that will be most appreciated (and put to good use).